Do you have a product or service to promote or having a private event and need some extra hands. 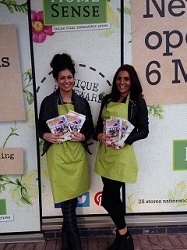 We provide promotional models, hand to hand flyering staff, hostesses and brand ambassadors in and around Solihull! If you have a product, service or a store opening that you need excellent staff for, a shopping centre can be successful location to carry this type of activity. Touchwood is a shopping centre in Solihull which we regularly supply experienced and proactive staff for any type of marketing activity or promotion. Free samples and contests are a great way to attract potential customers to your store or stand. Our staff can manage the whole thing for you including set up and pack down. Solihull is a great location and currently is one of the most prosperous towns in the Midlands. Our agency is located not to far from this area and because we are centrally located we have hand picked our staff. All the staff we provide are experienced and local. Using local based staff means that they are not having to sit in traffic for hours before they arrive to work for you and best of all no extra expenses for you to pay! We have a customised database with over of over 5,000 promotional staff of which a large percentage of these are based in the Midlands. This means we can provide local staff anywhere in the UK. Pitlane was founded in the Midlands but thanks to our specialised recruitment process we service the whole of the UK. 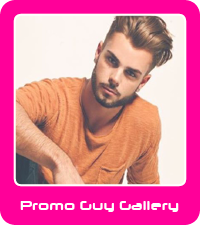 The promotional staff we provide have a large range of disciplines, and are ready represent you and/or your business. So next time you need staff to promote your products or your service in Solihull, Pitlane Staffing Agency will provide you with the best locally sourced people. There is no minimum or maximum spend so get in touch with our friendly team for a fast and FREE quotation!